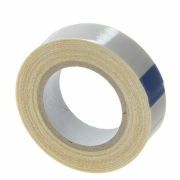 Velox Tubular Rim Tape. Adhesive Rim Tape for your tubs. Key Features: An easy alternative to glue, these self adhesive double sided rim strips hold your tubular tyre to your tubular rim. Each pack contains a strip long enough to fit two wheels.